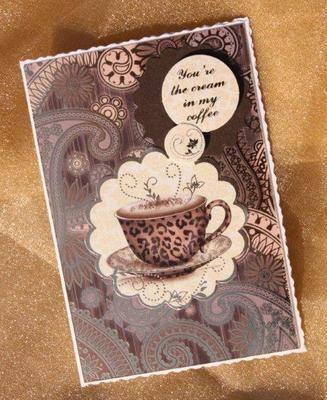 A cream deckle edged A6 card mounted with gold and mocha paisley patterned cardstock. 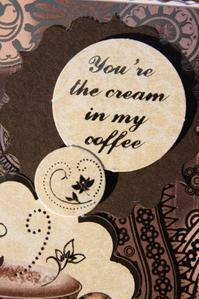 A cream scalloped edged image of a coffee cup is complemented by the words "You're the cream in my coffee' in a raised cream circle. 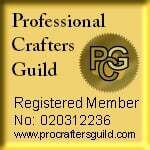 The message on the printed insert reads 'With Love' but this can be changed to suit your requirements.